It's that wonderful time of year again when we're all tasked with buying gifts for relatives and stocking up on festive food supplies to see us through the holiday season. For us this means cheese gifts and that special gift for the foodie in your life. We've created 5 different gift selections to please you and any cheese loving relative or friend this Christmas. The only tricky part is choosing which one! Check out our Great Taste selection, specially selcted from our top Great Taste winners. Over 10,000 products are entered into the Great Taste Awards each year and judged over 49 days, at least 8 judges taste every single product so to have all these winners is an honour. Find our more about this selection here. If you or your loved ones have an intolerance or allergy to cow's milk orif you simply love sheep's milk products then this exclusively ewe's milk cheese gift selection is the one for you. It includes our Yorkshire Fettle which appeared on Paul Hollywood's Pies and Puds, Mrs Bell's Blue, which is a Rick Stein Food Hero cheese, Olde York, the first cheese Judy ever made, and the very special Katy's White Lavender. Our best seller the Taste Of Shepherds Purse selection is a signature selection from Shepherds Purse. 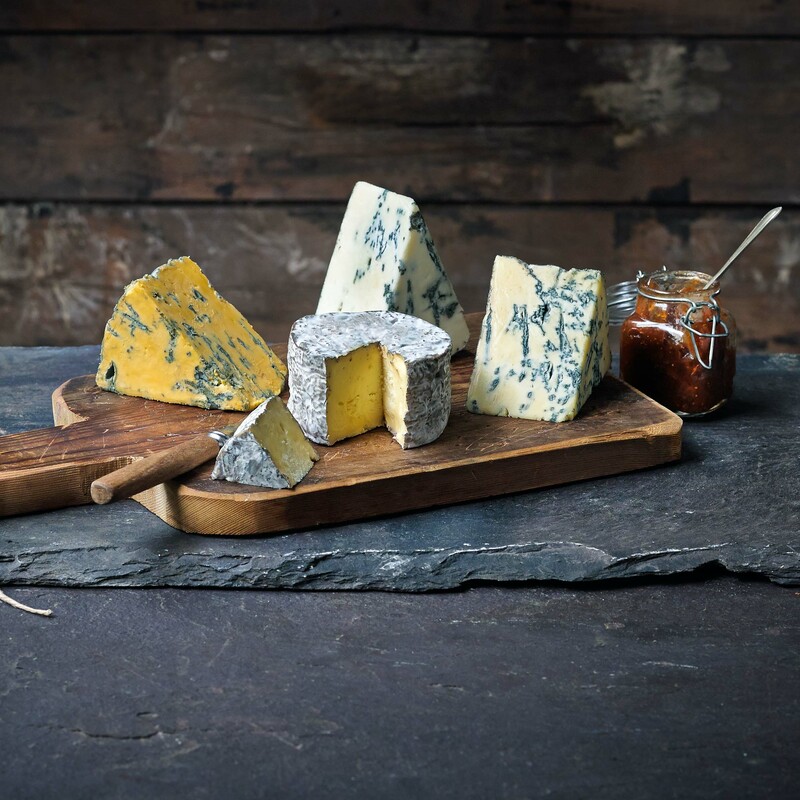 Featuring all of our award winning blue and ewe's milk cheeses, this selection will give you and your guests the experience of award winning artisan Yorkshire cheese. It's a beautifully balanced selection and is sure to please family and friends this Christmas.